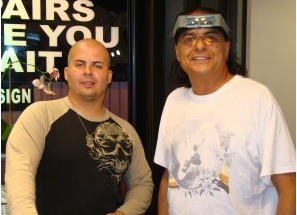 Here at "TWIN CAST" we specialize in the RESTORATION of fine jewelry, restoring it to its original pristine condition. We have the expertise in CUSTOM DESIGNS and you can TRADE IN YOUR OLD FASHION JEWELRY and TRANSFORM IT into something new and exciting. Bring in your favorite jewelry for a FREE STEAM CLEANING....we will also Examine it FREE for broken prongs and loose stone.